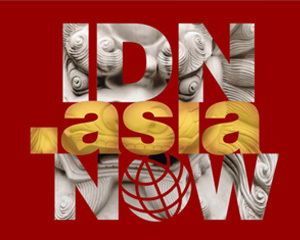 Hong Kong, August 2, 2011 – Following the successful completion of Sunrise, DotAsia today announces the opening of Landrush (http://idn.asia) for Chinese, Japanese and Korean “.Asia” Internationalized Domain Names (IDN) starting August 2, closing October 11, 2011. During the Sunrise and Pioneer Domains application periods, around 2,000 applications were received, along with 2,500 domains each for Chinese, Japanese and Korean IDNs requested for oversight by governments. In total, close to 10,000 “.Asia” IDNs have already been asked for at the close of Sunrise on July 25. The Pioneer Domains Program was especially well received from the entertainment sector, as many artists and films may not have trademark for their own names, yet are often targets for abusive registrations. Through the Hong Kong Performing Artistes Guild (香港演藝人協會), celebrities including Donnie Yen, Shu Qi, Jacky Chan, Andy Lau, Aaron Kwok and Ella Koon, have all marked their Chinese .Asia domain name. Other organizations and their members, such as the Hong Kong Film Awards (香港電影金像獎), Composers and Authors Society of Hong Kong Ltd. (香港作曲家及作詞家協會), The Hong Kong Film Directors Guild (香港電影導演會) and Federation of Hong Kong Filmmakers (香港電影工作者總會) also made use of the program to register their respective “.Asia” names. Landrush for IDN “.Asia” follows several important and related announcements in the industry, including Google’s announcement in July of their full IDN support for Adwords (http://adwords.blogspot.com/2011/07/non-ascii-characters-now-supported-in.html), allowing Google Ads to be fully in Chinese for the first time (including content as well as the URL); and, Baidu’s strong results, also announced in July 2011, reporting a nearly doubled net profit growth driven by the surge of search revenues. Together, they help ripen the market for IDN in Asia. “The Internet is moving towards an IDN world. The hundreds of millions of users in China, Japan and Korean are searching online with keywords in their own language. DotAsia not only recognizes the SEO value of IDN, but is committed to supporting businesses and artists to better reach their customers and fans with ‘.Asia’ domains,” said Edmon Chung, CEO of DotAsia.